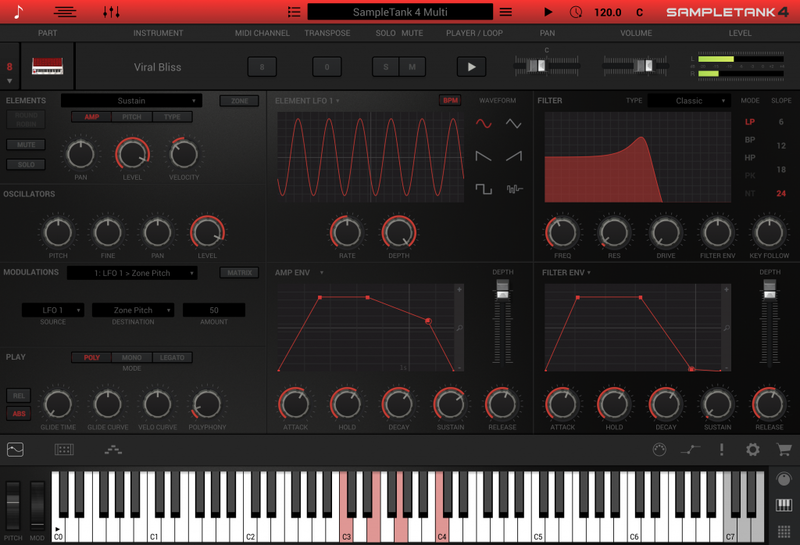 IK Multimedia has announced the next generation of the sound and groove workstation, SampleTank 4. 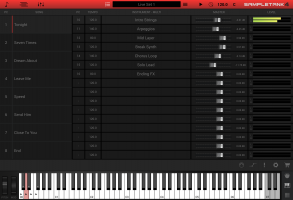 This update is re-designed from the ground up to be every musician's "go to" music creation workstation. 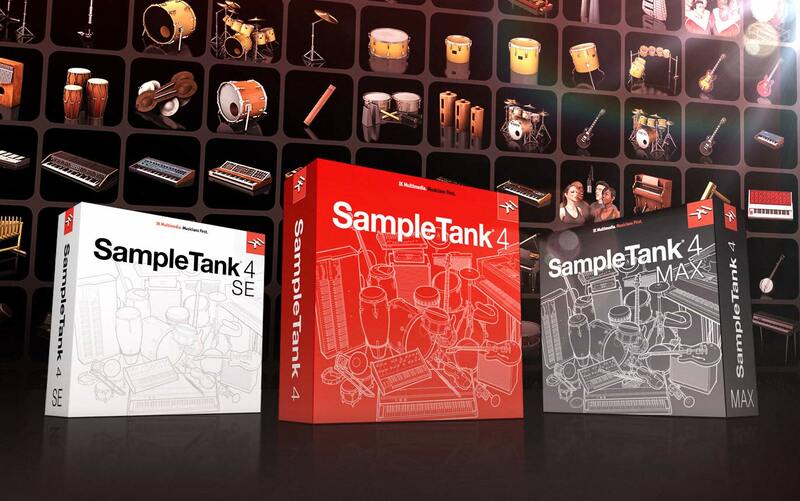 SampleTank 4 is now available for pre-order. SampleTank 4 offers a massively expanded sample library (up to 8,000 sounds across 250 GB of samples) and a completely redesigned, scalable/zoomable interface. 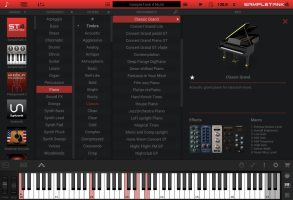 The new library features high-end recordings of all new concert pianos, keyboards, guitars, bass, drums, strings, brass, synths, vocals, percussion and more, all with articulations and round robins for the most realistic performance yet, with over 120,000 new samples added. 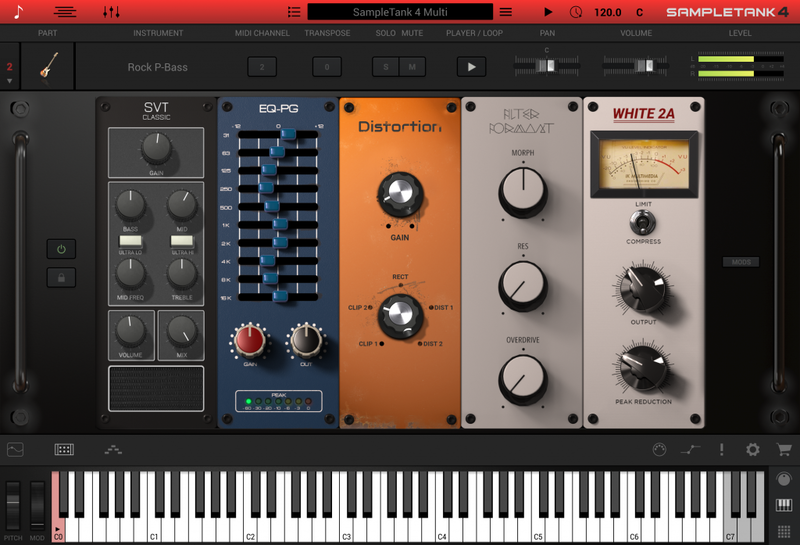 SampleTank 4 also adds 13 new effects, for a grand total of 70 studio-quality effects. 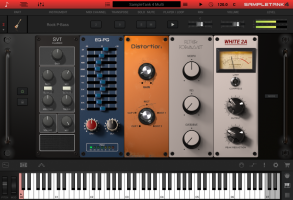 IK say "Effects like these have never before been heard in a virtual instrument – they're all derived from thre industry-leading AmpliTube and T-RackS software." 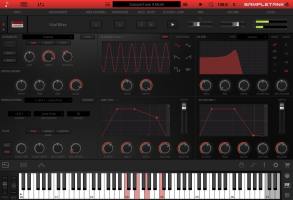 The new sound engine offers powerful, more creative sound design. Working with multiple sounds has been made easier with a new dedicated Layer interface that enables setting up layers and split-points for up to 16 simultaneous sounds. Editing is more powerful, too. Choose from 16 modeled filters, edit envelopes, oscillators, portamento, polyphony and more. Users can edit an entire sound or access individual articulations, zones, or single samples, for the deepest level of control. A new modulation matrix allows for linking sources like envelopes, LFOs and oscillators to almost any control, for designing intricate soundscapes. Thanks to SampleTank 4's completely redesigned GUI, the interface is now fully scalable/zoomable to re-size conveniently on any type of modern display. Plus, a new sound engine offers efficient hard-disk streaming, meaning sounds load faster than ever and perform like never before. The re-designed Sound Browser lets users browse, filter and search by style, genre and mood to find sounds faster. Layer, mix, apreggiate, loop, add effects, and more all in the same program. Create and save all of your effects to revisit them when needed. 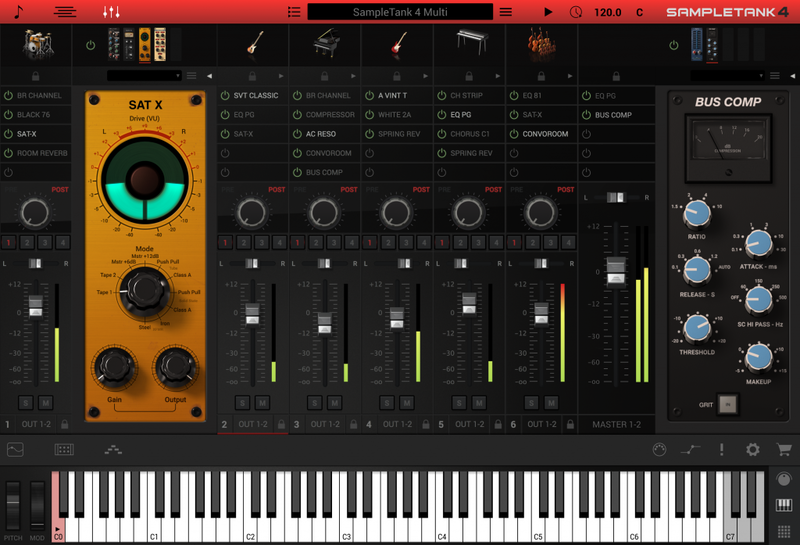 SampleTank 4 makes it easy to hit the stage. 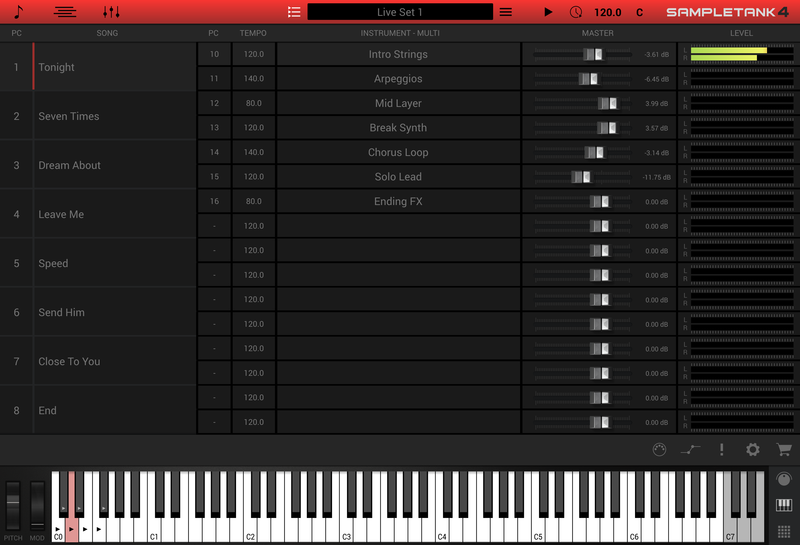 A unique, re-designed Live mode offers fingertip-ready controls for live performance and lets users build an entire set list and create song presets. 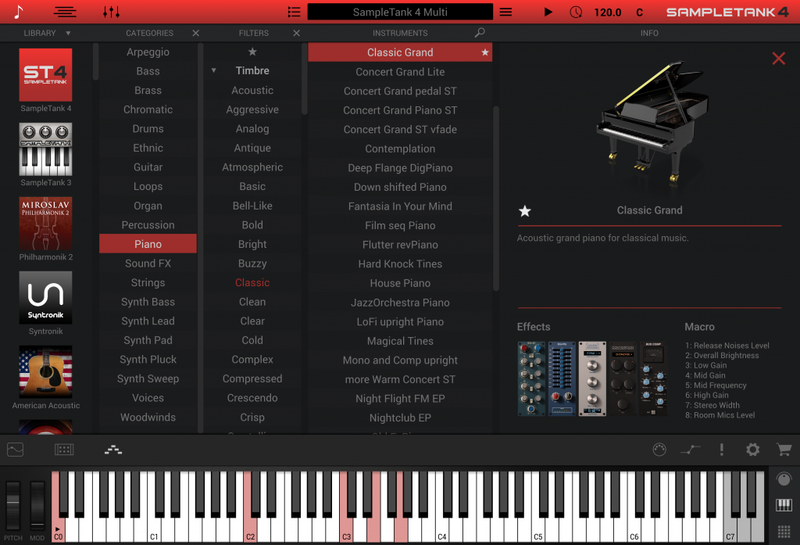 SampleTank 4 is designed to work with any standard MIDI controller, from keyboards, to pads, and more. This allows for seamless integration in both studio and live settings. Three versions are available now for preorder: SampleTank 4 SE, SampleTank 4, and SampleTank 4 MAX. An entry into the SampleTank line, offering 2,000 carefully chosen instruments for 30 GB of sounds. MSRP $/€149.99 – special pre-order price $/€99.99. Over 100 GB of sounds, including 70 GB of newly recorded material for 6,000 sounds overall. MSRP: $/€$299.99 – special pre-order price $/€199.99. The largest sample library IK has ever produced, over 250 GB including 200 GB of all new sounds. That's over 8,000 sounds in total. MSRP $/€499.99 – special pre-order price $/€299.99. 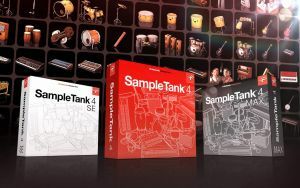 Users of existing SampleTank versions, or any other IK product that retails for $99.99 and up, can also upgrade for the special pre-order price of: SampleTank 4 – $/€149.99; SampleTank 4 MAX - $/€199.99. 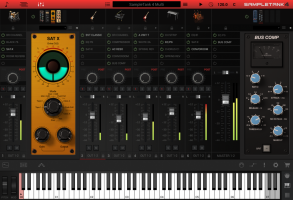 Any customer who purchases or receives any version of SampleTank 3 as part of a hardware or software bundle on or after November 13, 2018, will receive SampleTank 4 SE for free at release. Any customer who purchases SampleTank 3 SE, SampleTank 3 or SampleTank MAX on or after November 13, 2018, will receive the equivalent version of SampleTank 4 for free at release. To learn everything about about this new soundstation visit the SampleTank 4 webpage or click here to pre-order now.